Kirsty McGee has signed a new deal with the Royals until June 2018! Royals Captain Kirsty McGee has signed a new contract until June 2018, keeping her at the club for the Spring Series and the following 2017-2018 season. 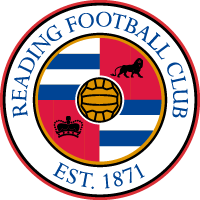 McGee, who didn’t play for a football team until she was 16, joined Reading in 2014 after a decade years with Portsmouth Ladies FC. 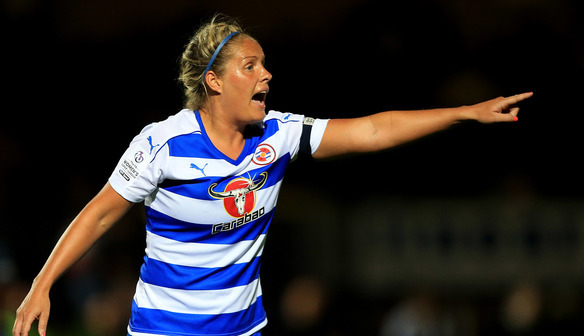 The 29-year-old defender, joins Mary Earps, Lauren Burton, Becky Jane, Charlie Estcourt and Melissa Fletcher in extending her stay at Reading. On signing McGee said “I’m really grateful to have been given the opportunity to continue my full-time career, at a club where there is massive ambitions for the future. I feel it’s a really exciting time to be at the club, especially with the signings that we’ve made, and to build on the foundations we laid last season”. Manager Kelly Chambers said: “I am really pleased that Kirsty has signed a new deal with us. Kirsty is a fantastic role model and has had a real impact on the success of the team over the last few seasons. She is an experienced player in the game and is a true professional and one who is still hungry to develop. I'm glad I will still get to work with her over the coming seasons”. Follow Kirsty on Twitter and Instagram!